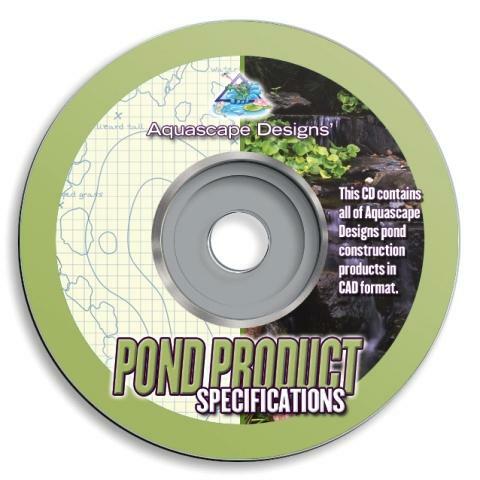 Contains detailed water feature design CAD files that can be "plugged" right into your plans. Drawings are in several formats for easy integration ito your design process with any level of software. Shows Aquascape Designs professional water feature products installed in appropriate applications including installation notes and details. Contractors, use the drawings along with your bid to make you stand out over your compitition and to help the customer better understand the mechanics of what you are trying to sell them. To pre-view a copy of this DVD, "CLICK HERE". To return to this screen, click the back button on your browser located in the top left corner of your screen.